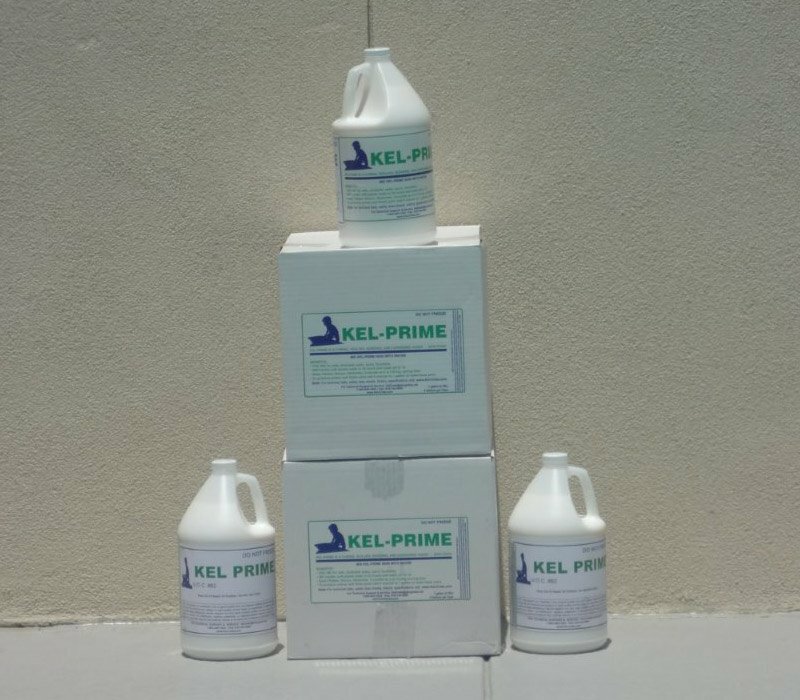 Kel-Prime is a non-toxic SEALING, BONDING, CURING and HARDENING agent. As a SEALANT it provides water retention for proper CURING/HYDRATION. As a BONDING agent it provides excellent bonding for plaster over CMU units, and greatly reduces rebound. As a CURING agent it “will cure the plaster in 24 hours”. It helps the curing process in shotcrete, concrete, etcetera CMU units. Kel-Prime will HARDEN a soft plaster wall in 24 hours. Kel-Prime meets EPA LEEDS and CARBON FOOTPRINTING standards, and is NON-TOXIC and made in the USA. It is packaged in four-gallon cases, or in 55-gallon drums.